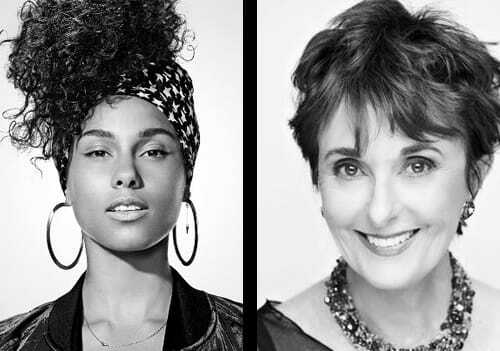 I love you Ms. Alicia Keys, BUT, I’m not giving up my makeup bag, NO WAY! Singer, songwriter Alicia Keys has put a ban on makeup. At least that is what has been all over the internet lately. I guess there is a revolution going on and I don’t want to be a part of it. Do you? “#Nomakeup” is a meme, a movement, an inspiration to some and insanely ridiculous to others. Ms. Keys disclosed all the insecurities she has felt over the years being in the public eye. She wrote about the anxiety that the use of makeup, or no makeup has produced whenever she left her house. What if someone shot a photo of her? What if they post it? How did she look? She is sick of it. Makeup is just “phony armor,” she writes. Did Cleopatra think makeup was “phony armor”? Did Cave Women, African Warriors and Native Americans think painting their faces “phony armor”? Face painting gave them strength, attraction, and a way to communicate. Wearing makeup or not wearing makeup is nothing new. It comes up every couple of decades as a “Cause Célèbre”. Remember “Burn Your Bras” was another so called revolution? Well, makeup is a real part of my existence. I own a cosmetic company and that is the business part of me. We are dedicated to helping people improve their appearance through the use of the right cosmetics. Everybody’s got something to hide, whether it’s a simple annoying flaw or more serious coverage. Is this phony armor if one’s self esteem is improved? That’s a good thing. If cosmetic challenges don’t bother you, that’s a good thing too. On a personal level, I like to “face my world” with all the help I can get! That’s my happy place! Contouring, strobing, baking, highlighting, “the twelve step program to create the latest eye makeup look,” well, that’s a different story! Ms. Keys, it’s great you can look good and feel good without makeup, but, just to let you know, I’ll never let anyone take away my Orange Masking Crème! For those of you my fabulous supporters and customers, go for what is important to you. I’d love to hear what you have to say. Write me a comment below and by the way, any time you can receive a 20% discount for your fall season supplies, that is a good thing too! It sure has been extreme contour mania on the internet and in stores lately. Looks like a huge push for movie star good looks and the “Kardashian way” to makeup. I started this blog weeks ago and before I could post it, a wonderful piece came to me on the internet. Well, I have nothing else to say since “The Cut” beat me to it with great observation from the makeup artist, Patti Dubroff. I respect her and anything she has to say. 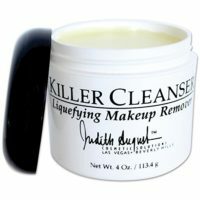 If you check out her comments, she is right on, and the philosophy at Judith August Cosmetics backs up her thoughts completely. Our belief is that makeup is a physiological endeavor to make us look and feel good about ourselves. Nobody’s perfect, and that’s the truth. A fad of trying to reshape your face is not a pretty picture if you don’t know how. Leave that to the professionals. 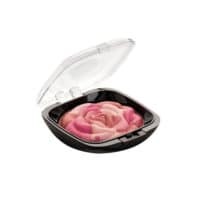 Don’t get me wrong, a little bit here and there can be effective when you want to mimic dark shadows which add depth and minimizes certain areas on the face. The theory of makeup is that dark recedes and light brings out the area you want to enhance. But, there is contouring that creates an illusion and then there is contouring that goes overboard which in my view is unnecessary and unnatural. The Everything Pencil – Face & Body Concealer comes in five colors, the darkest being Cinnamon. But very few know about all the many things you can do with that color. 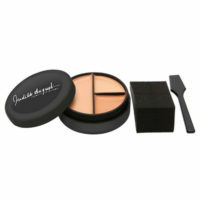 It is perfect, for light to medium skin tones, to contour, shape and define features on your face. 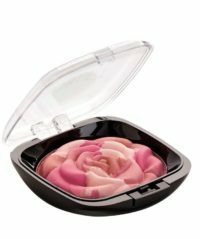 A unique color, with a natural undertone which mimics the shadows of you face without looking way overdone! Contour cheekbones – sculpt under jawbone – define eyes – use it as an eyeshadow – shape your nose & forehead- enhance your lip, and if you have medium dark to dark skin tones, use it as a concealer. 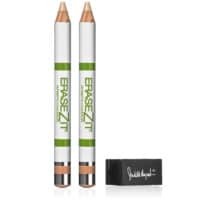 Its trusty companion, The Everything Pencil in Ultra Light, is a great highlighter and will help to pull features forward. 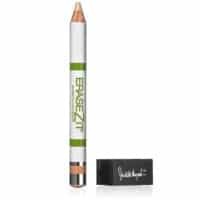 Use it on top of cheekbones, under eyebrows, under concealer, soften fine lines around the mouth, and plump up lower lip by highlighting on the center. It has been a very unpredictable winter so far, but in most of the country you can bet on cold! With change in the air, there is change in your skin as well. Here are a few tips I practice to keep my skin healthy, hydrated, and moisturized whether I’m in the desert climate of Las Vegas, or visiting some of my favorite places like New York, L.A. and New Orleans. I exfoliate 3 to 4 times a week for maximum impact. What it does is to remove the old, dead skin cells and speeds up cell renewal, which allows new healthy cells to go grow. 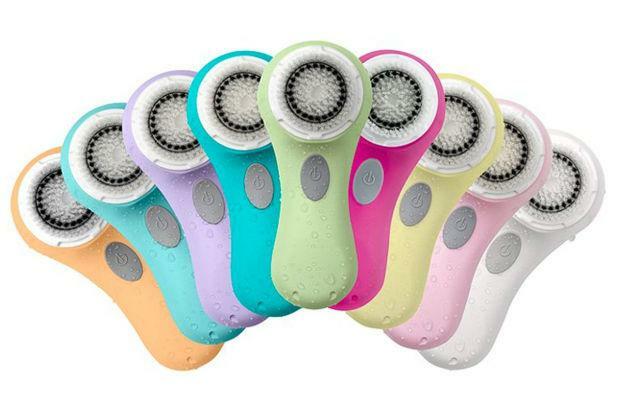 This treatment not only helps create smoother, clear skin but helps keep makeup looking smoother and to stay on longer. 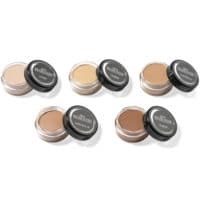 Your concealer and foundation will not have “old yucky, dead skin patches” to hold onto! 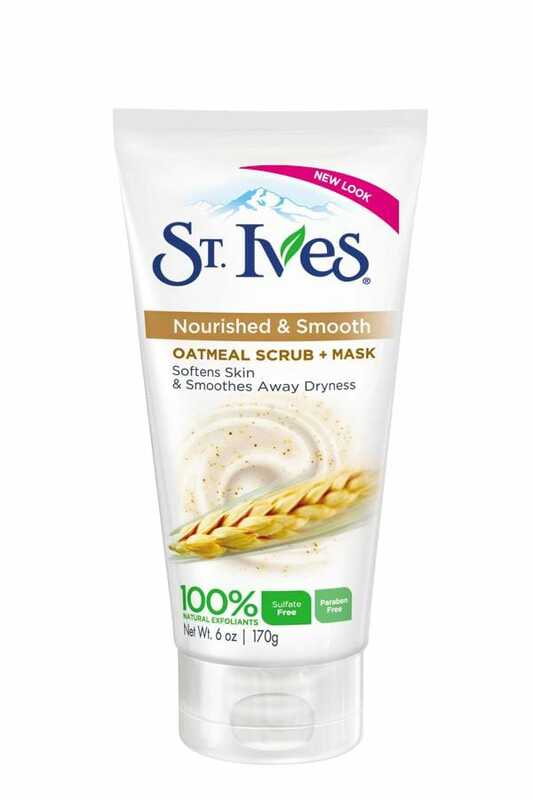 gentle skin smoothing I love St. Ives Apricot Scrub and Laura Mercier’s Flawless Skin – Face Polish is a good one as well. They are different consistencies, so I can always change things up a bit. Avoid products with strong ingredients like chemicals, acids and other ingredients that can burn or cause redness and swelling. Salt scrubs are also very good but I don’t recommend salt for sensitive skin, especially on the face. The body is another story. Use your body scrub all over while in the shower to get rid of dead skin. Moisturize immediately with the bathroom door closed in order to trap important water in the epidermis and reduce itching and dryness. If your routine includes a relaxing hot-soak in the tub, exfoliate in the shower first while your bath water is heating up. The bath water temperature should be warm when you submerge into the lovely soak. Very hot water will dry out your skin. Add almond oil, milk or Epsom salts to soften the water and help with aches and pains . A bit of lavender oil is especially good in your tub to create an even more enjoyable and relaxing soak. When you emerge from your “home made spa”, apply body lotion or oil while your skin is still damp to create a protective layer on your skin. I love Africa’s Best – Herbal Oil which I buy from the drugstore. Infused with many natural oils, I find this has become a miracle in dealing the brutal cold winters. Use alone or mix with other body lotion. Bundle up and enjoy a cold winter night while you are toasty warm under the covers! P.S. Here’s a recipe I just came across for an enticing DIY blend at home. 20 drops of Vanilla Oil / 4 drops of cinnamon essential oil. Warm Coconut, Vanilla and Cinnamon oils in a pot over a low heat. Heat just enough to blend easily with the sugar and coffee grounds. Remove mixture from the heat and let cool. Place it in a bowl or jar. Apply to the body for a delicious LATTE LOVE! There’s a reason concealers and cover-ups are in high demand. Maybe that lovely lady you saw today, with the gorgeous skin, is hiding something. Maybe even a tattoo, or perhaps a bruise from an injectable. The truth is, everyone has something to hide. As long ago as 300 BC, in Japan, tattoos were used on criminals, identifying their crime and serving as a form of punishment. On the flip side, tattoos were used by criminals to inspire fear in others. Today, we see them used by gang members, prison inmates and ex-cons, for the very same reasons. French prisoners who had earned their stripes by the commission of violent crimes were among the first to communicate their status through the use of tattoos. Over the centuries, humans have displayed a strong need to decorate and adorn their bodies and faces, to tell their stories. Today, this ancient art form has firmly established itself in the American mainstream. Studies show that at least 10 million Americans today have at least one tattoo. If you don’t have one yourself, you certainly know someone who does. Sadly, however, what you/they thought was a good idea at the time, could now be a great regret. In fact, 50% of people with tattoos now wish they’d never gotten them. Short of tattoo removal, is it possible to get rid of a tattoo? While one certainly may opt for removing tattoos altogether, there is another, less painful and easier, solution. Cover them up. Quickly and painlessly. So, what is the best makeup to cover a tattoo? 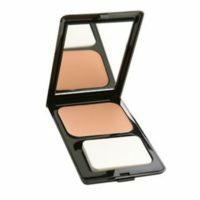 As a pioneer in the field of corrective cosmetics, we have just what you need to cover, hide, conceal and correct just about any flaw you wish wasn’t there. Be it a bruise, a blemish, a scar or a birthmark or a tattoo. Our secret is Killer Cover – Total Coverage Concealer. This waterproof concealer was designed to cover the most difficult skin discolorations that traditional concealers cannot touch. When you see how completely it conceals a large tattoo, just imagine what it can do for vitiligo, birthmarks or bruises. Check out our Tattoo Kit, which includes Killer Cover, August Minerals Setting Powder and Makeup Stay Makeup Spray Sealer. There is also laser tattoo removal. And while this method has become more sophisticated in recent years, there’s still no guarantee of complete removal. The ink used and how deeply it was deposited can greatly affect results. If that tattoo is a great regret, a series of advanced laser treatments may be the best option. Count on 5 to 15 sessions to see results. Killer Cover will temporarily cover that tattoo, until you remove it, leaving your skin clear and smooth. Instead of living with the mantra of “What was I thinking,” you are now free to bare it all. Or a little. Leaving no one the wiser. Photo courtesy of Maurice Stein. Founder of Cinema Secrets. For dark tattoos, use Killer Cover™ and pick a shade darker than your skin tone first. Apply over tattooed area. 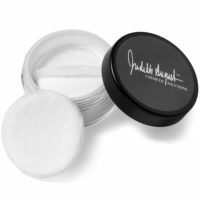 Set with August Mineral Powder – Translucent Powder and then layer a shade closest to your skin tone on top. Blend out and set with powder again. Use Make It Stay, Makeup Spray to seal everything together. Check out our complete line of cover-ups and concealers here: We’ve Gotcha Covered.